Home CEO's printable Preschool Curriculum for toddlers and preschoolers Age 2-3 is a 46-week program suitable for your children aged 2-3 (18-48m). 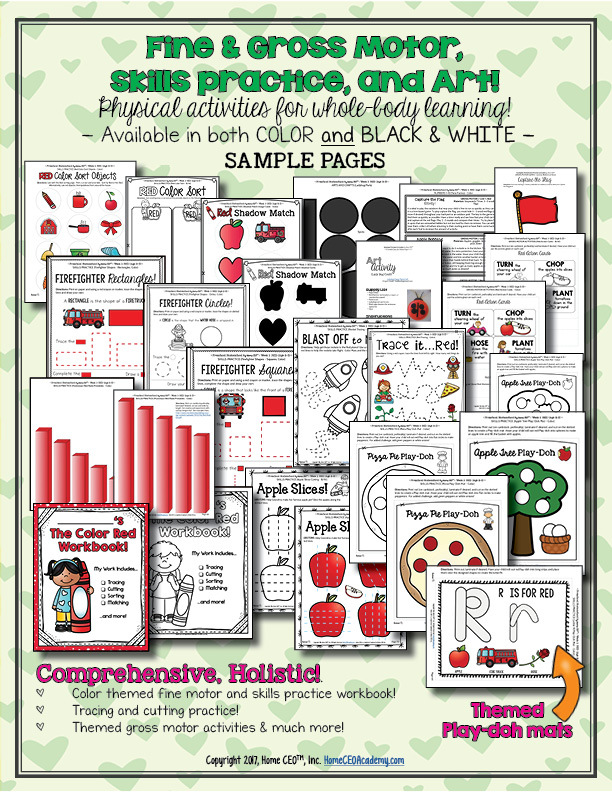 Used in homeschools, preschools and home childcare settings. 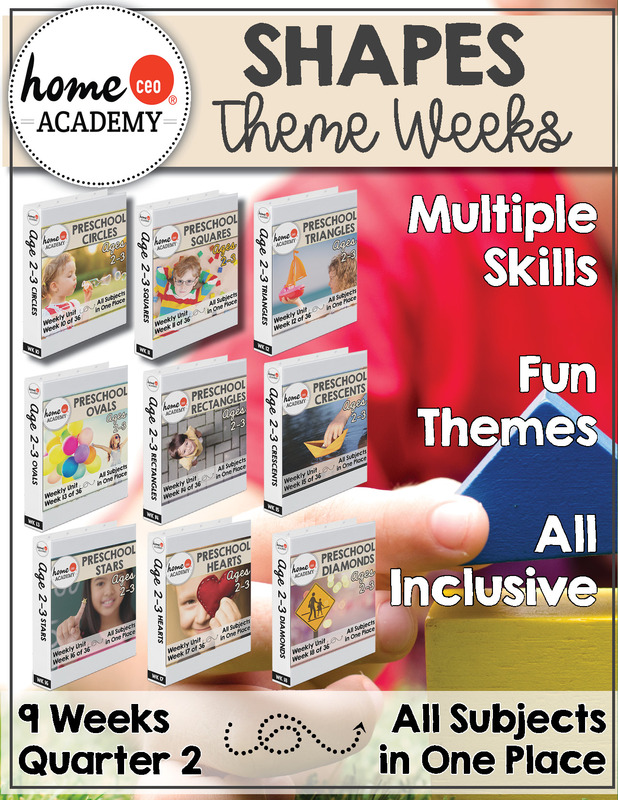 This program includes 46 weeks of themed printable preschool lesson plans and instructional activities that are progressive in nature, with increasing challenge and variety each week and is designed to be a complete-year one-stop preschool curriculum. In addition to our core 36 weeks, this program offers 9 additional optional seasonal units for 45 weeks total instruction. Get ready to have a ton of FUN!! This is an entire preschool program for homeschools, preschools and home child care settings. 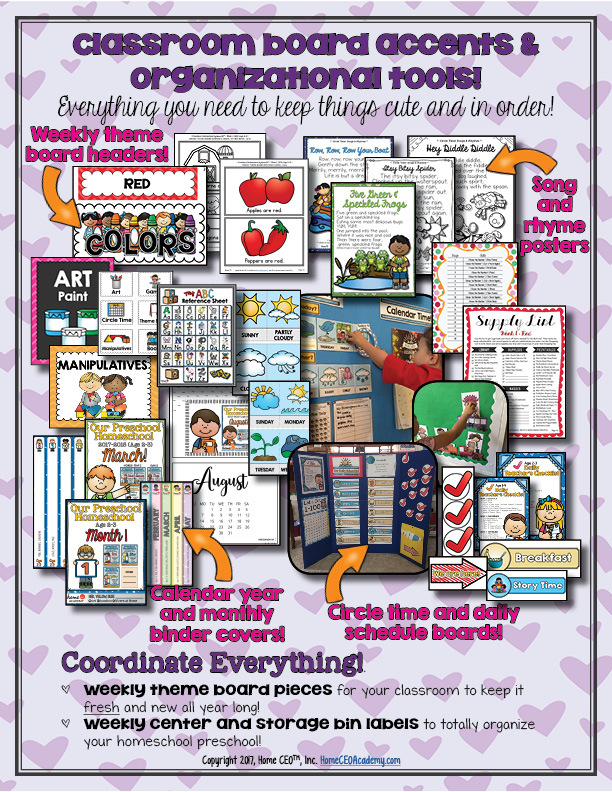 It includes all the related printables & matching classroom decor and organization elements. 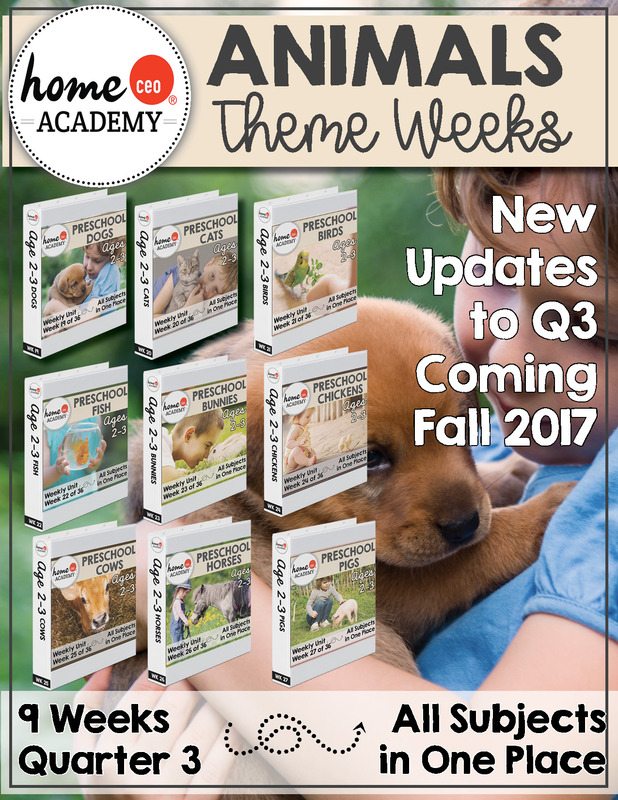 This is a large, holistic and all-encompassing preschool curriculum program with weekly themed units that are flexible but structured. For homeschoolers, this is perfect for the parent who wants to actively participate in teaching and engaging with their child to strengthen their parent-child interaction and relationship bond through easy and fun educational play. Most importantly, you'll fill your year with intentional days and countless hours making positive lasting memories with your little one(s) through fun and diverse educational play that will strengthen your relational bond. We believe that alone is by far one of the most significant contributors to your children's long-term success. This complete year preschool program and its weekly units cover EVERYTHING so it eliminates the need to tie a bunch of unrelated activities together or adapt to multiple program approaches. Each unit has reading, language arts, math, sensory, gross motor / physical activities and art as well as optional Montessori elements and everything is progressively challenging through the course of the program, so your children will always be growing, learning and engaged. Simply follow the weeks in sequence and start any time! We also offer calendar year and academic year suggested schedules, but you can start anytime. Below is our suggested 2017-2018 school year schedule. Everything is all planned out and you know what you're doing each week. No more guessing! We also offer generic binder covers if you want to start with your own schedule, as well as calendar year binder covers/schedules (for January-December use). If your kids are ready for more, don't wait. There are sensitive periods for learning and you want to make the most of these windows of opportunity. 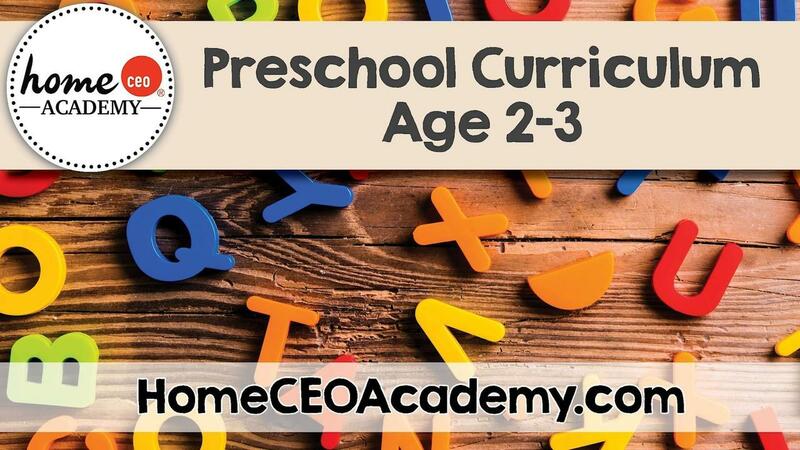 The Home CEO Age 2-3 Preschool Curriculum is a HUGE, HOLISTIC and SIMPLE homeschool preschool. When you purchase this product, you will receive access to our online downloads library with the documents you'll need to implement 46 weeks of preschool. In 2017 we are adding even more printables to the library. A complete year plan of action and all related printables to ensure you never have to wonder what to do with your children on a given day. It's all planned out! Thorough but flexible for your home and real life! 46 weekly themed units to be done in sequential order. 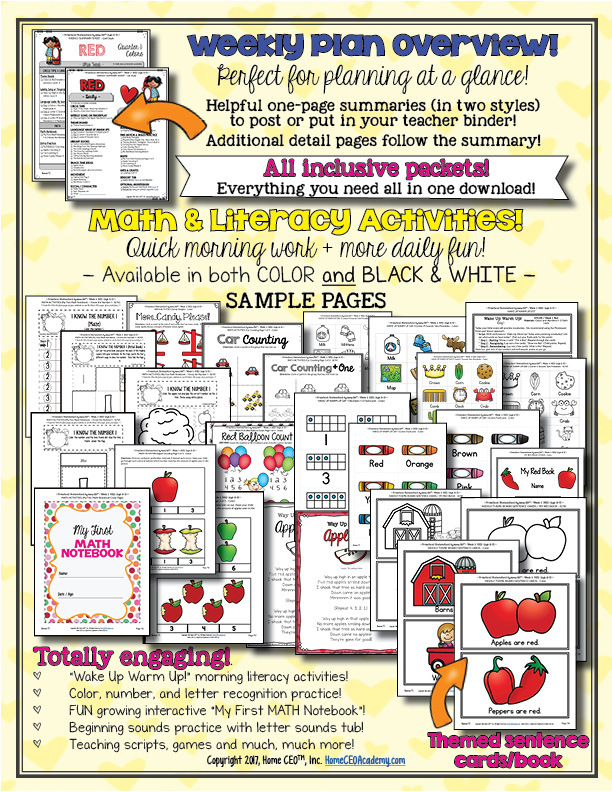 2000+ pages of themed math, literacy and fine motor printables. 15 of the most essential flashcards for this age. 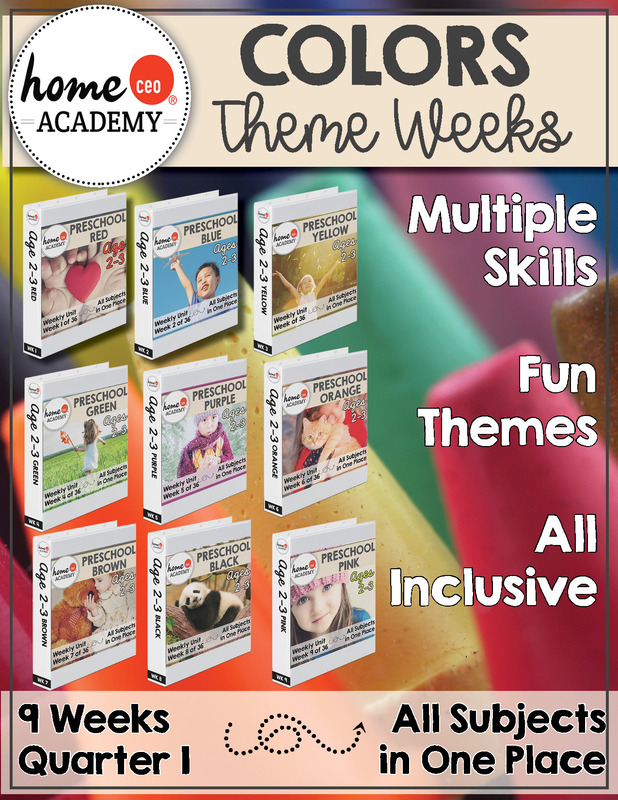 All of the materials included in this all-inclusive program work seamlessly together, with everything ordered sequentially through the lesson plans to form an integrated, whole, complete and fluid year of organized and effective preschool. 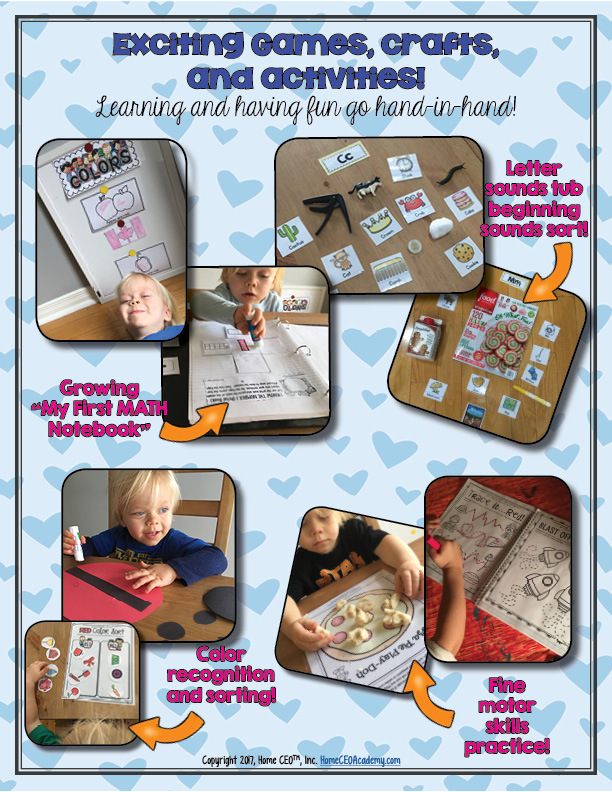 It is a complete plan, with associated printables, for a year of preschool at home or in a preschool settings. When you purchase our program you have access to ongoing support. Call or email us anytime during your school year. We respond within 24 hours and are dedicated to your success. WHAT ARE PEOPLE SAYING ABOUT OUR PRESCHOOL CURRICULUM? The following are samples pages from *ONE* of our weekly units. 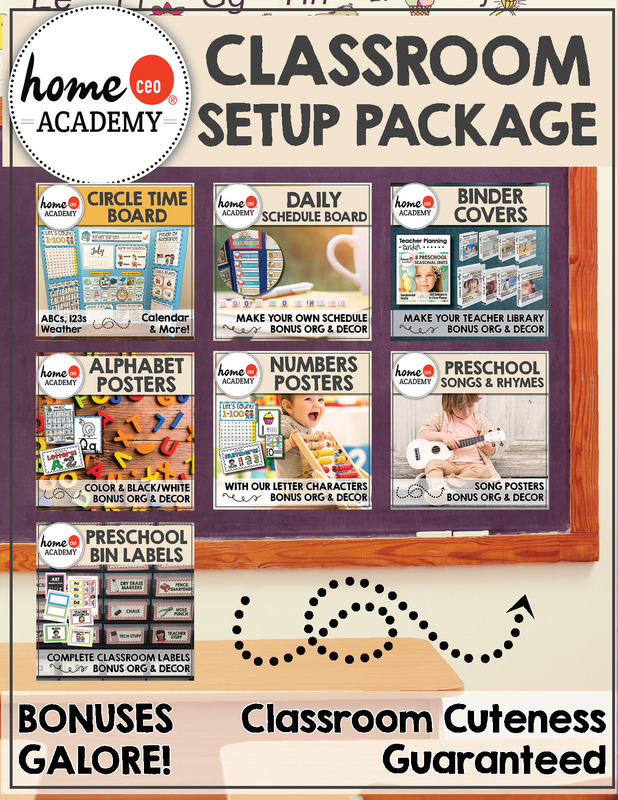 This is TRULY a one stop shop for teachers or parents wanting to cross "preschool plan" INSTANTLY off the list for an entire year and it is a fraction of the cost of other complete year kits on the market some of which charge $50 per month per child and don't even include as much as this does! In addition to the huge assortment of printables included in our preschool curriculum, these lesson plans make use of some outside supplies, such as books, basic manipulatives and art supplies such as crayons, markers and occasionally paint to supplement the lessons, however the items and art projects were selected with relative ease in mind and use items you will find around your house. If you choose to implement the Montessori sensorial portion of our curriculum, this will require additional Montessori supplies however many of those may be created DIY and this is not a required portion of our curriculum and there are plenty of other activities to fill your child's days. This program is easily adaptable to make use of what you have already and books your local library. 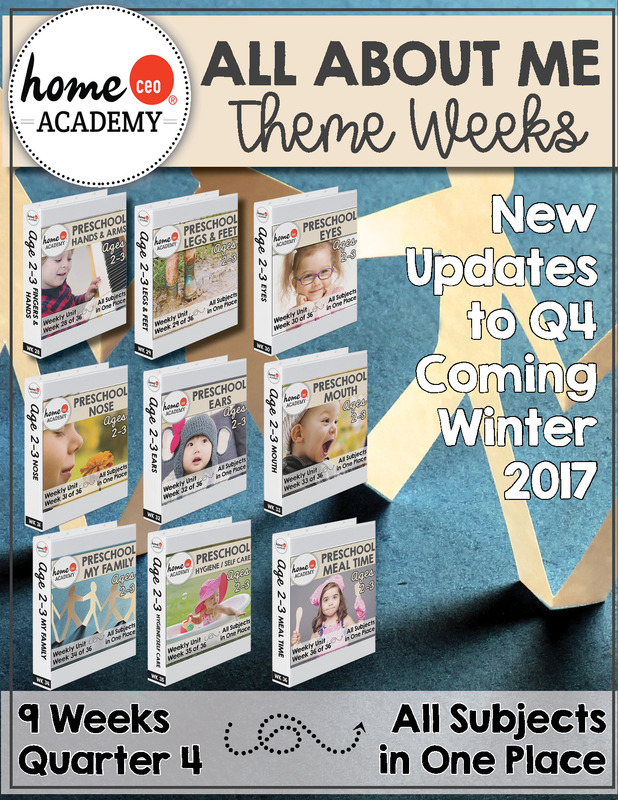 Lifetime access to our Age 2-3 curriculum library, customer support, and all downloadable printables is $99 ($2.15 week). All monthly profits from Home CEO Academy are actively distributed to over 20 charitable humanitarian organizations (39 since inception) who are making the world a better place in the area of children, education, poverty, homelessness, human trafficking, and more. Most recently, in May 2017, thanks to our customers, we also sponsored the build of a playground at a primary school in Uganda, in partnership with East Africa Playgrounds! Does this sound like an exciting program for both you and your little ones? Then sign up today! Questions? We are known for our friendly, responsive support! Email us at [email protected] or call us today at 877-853-1552. We'd love to see you and your little ones in our program because we know it works, we know you'll love it and we know your kids will be delighted with it too. If we can answer any questions, please call us at 877-853-1552 or email [email protected]. We wish you the best with your preschool curriculum selections! Exclusive access to our online products download library to take a sneak peek at how our program is implemented and download a sample week. Our one-time payment option provides exclusive instant access to 36 weekly preschool units, 10 seasonal units, 100+ page classroom decor pack, lifetime updates and several bonus activities. Digital edition / PDF files. No product is mailed. Our monthly plan unlocks 3 preschool totschool units a month. 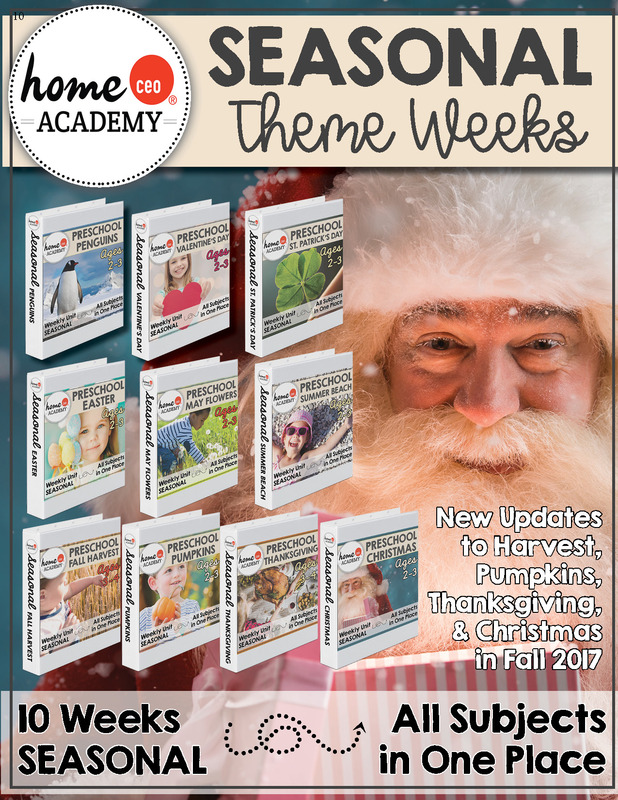 Provides immediate access to your first three units, 10 bonus seasonal units and a 100+ page classroom decor pack! Digital edition / PDF files. No product is mailed. Single payment for preschools and families purchasing from Australia (AUD - Australian Dollars). Digital edition / PDFs. No product is mailed. Single payment for preschools and families purchasing from Canada (CAD - Canadian Dollars).